Reenter Kerry. What has his initiative vis-à-vis those Israelis whose families fled Arab intimidation to do with Barker? Let’s connect the dots. Kerry is doubtless familiar with the formulaic division of this country’s Jews into two opposing camps – hawks and doves. The hardnosed hawks are invariably cast as Jews of Mideastern origin (inaccurately all lumped together as Sephardim), while the doves are just as invariably identified as Jews of European origin (popularly dubbed Ashkenazim). This one-dimensional oversimplification of Israel’s sociopolitical make-up is a favorite of the leftwing Jews who proliferate in the Obama Administration. The upshot is that the White House and State Department seek slick schemes to change the minds of all those presumably benighted Israeli intransigents. This is where Kerry, like it or not, in effect subscribes to Barker’s characterization of the Jew as one who cares more than all else for money. To be sure, Kerry is no Barker-style foaming-at-the-mouth anti-Semite. Kerry is way more genteel and refined than Barker was but no less consistent. He doesn’t hector that the Jews must be hit “by striking at their pockets.” Kerry instead opts to warn the Jewish State of the terrible financial calamity that would befall it, should it disobey his diktats. According to Kerry’s enlightened approach, barely veiled threats of BDS horrors (Boycott, Divestment and Sanctions) should suffice to yield the desired Jewish compliance. Kerry had reiterated this identical enlightenment on more than one occasion, making it quite disingenuous to accuse Israelis of either nasty misrepresentation or imbecilic misapprehension. Moreover, his implied threat against our Jewish pockets was followed up with an enticement campaign geared to sway Jews by dangling a bit of alluring remuneration under their noses. The point of departure here is that Jews – be their background Mideastern or otherwise – are greedy. If only offered enough payback, Israel’s “hardliners” will let go of all their mistrust of the Arabs, among whom they or their ancestors lived and from whom they had to flee for fear of their lives. Thus – to bait those covetous Jews – the notion of compensating Jewish refugees from Arab lands was inserted into Kerry’s so-called framework for a peace agreement. At first glance it looks like an unassailable proposition. If anything, it should be cheered. Here, so it would seem, is the first tangible acknowledgement of our long-time contentions that there had been no Arab calamity in 1948 but in effect an exchange of populations. Some 600,000 Arabs fled what was to become Israel – in many cases at the prompting of their leaders. This resulted directly from a war the Arabs had instigated to annihilate Israel. Their misfortune was that the genocide they planned had backfired and the Jews, slated for extermination, had the temerity to win and remain alive. In fact, these uncooperative Jews remained alive enough to absorb into their midst over 800,000 Jews who fled Arab lands. Unlike the Palestinians, these Jewish refugees did not start a war, did not aim to massacre their neighbors or destroy the countries where they had constituted the oldest continuous communities, long predating both the Arab conquests and Islam. These were genuine refugees rather than frustrated aggressors who had ascribed their own homicidal fervor to their intended victims. The so-called Palestinian refugees, furthermore, weren’t on the whole local Arabs anyhow. Many were itinerant Arab laborers drawn to this country by the Zionist Jews who made the desert bloom and the land habitable. For the benefit of those who forget, this was the remote, malaria-ridden, depopulating hinterland of the decaying Ottoman Empire. The Jews, who longed for this forlorn place – their one and only historic home – literally watered the wasteland with their blood, sweat and tears. Word then got round the entire Arab sphere that there’s opportunity to be had here – the term used was “prosperity.” Arabs started flocking in from Iraq, Syria, Egypt and all the way to Libya and the Maghreb. The British mandatory government, which callously collaborated in the Nazi “final solution” by barring the entry to this country of desperate Jewish refugees from Hitler’s hell, flung the gates open for Arab economic migrants (see Joan Peters’ matchless From Time Immemorial). The UN later unabashedly defined as a Palestinian refugee any Arab, no matter from where, who sojourned temporarily here for two years before the 1948 Arab attack on day-old Israel. No such benign attention was focused on Jews fleeing Arab countries. Indeed no attention whatsoever was paid them. They, like the displaced post-Holocaust European Jews, were looked upon as detestable bothers whose very plight upset the global applecart and destabilized the Mideast. Jewish tragedies evoked no compassion. It’s as if Jews were anyhow, from the dawn of history, portable and destined to rootlessness and wandering. So obviously no heartstrings were tugged by the fact that refugee Jews from Arab jurisdictions had left far more land and way more property behind than did the diverse Arab transients who ran away from Israel, plainly expecting the Jews to mete out to them all that they had boastfully declared they would do to the Jews. Arab hardship was lamented while Jewish suffering was, as per usual, overlooked (if not actually disdained). Making matters worse was that beleaguered newborn Israel, where there wasn’t enough of anything and where the most basic foodstuffs were severely rationed, welcomed the refugees as repatriated brethren. The reverse occurred across the armistice lines. Arab refugees were segregated in camps, not allowed to assimilate or to economically rehabilitate. A special UN agency – UNWRA – was set up uniquely for them and for them alone. Their refugee status was perpetuated over the generations. The Jews, in contrast, were never regarded as refugees. Israel is held accountable for the Arab displacement, despite the fact that it implored the Arabs to stay and not to attack. Consequently, in Kerry’s view, Israel must in the very least compensate dispossessed Arabs. To make this palatable, it appeared prudent to also throw in compensation for the Jews who streamed penniless into Israel from all corners of the Mideast. But is it fairness Kerry is after? The truth is quickly exposed via a simple question – who will pay? Whereas Israel must make reparations to the Arabs (because they had failed to defeat it), who will pay the Jewish refugees? Surely it won’t be the Palestinians – not that we know who among them would pay even if they were trustworthy peace partners, which they clearly are not. Will jihadist Gaza pay? Will terror-glorifying Ramallah? Seriously? Even if all the goodwill in the universe suddenly descended upon them, they will surely shirk responsibility for what Iraq, Syria, Egypt, Libya, Yemen, etc. had done. And surely Baghdad, Damascus, Cairo, Tripoli, Sana’a, etc. (all in the dire throes of internecine turmoil) will assert that they aren’t sides to any deal between Ramallah and Jerusalem. Technically they would be darn tootin’ right. Washington cannot foist any sort of financial onus on them. Obama (considering the deficits with which he has lumbered his own country) would surely not endorse a payout to Jewish refugees from depleted American coffers. That’s not how far his “sharing the wealth” ethos extends. The long and the short of it is that nobody will compensate the Arab realm’s Jewish refugees. Obama knows it. Kerry knows it. So why make promises that can’t possibly be kept? Well, of course Kerry’s entire misnamed peace framework is a promise that can’t be kept. But the specific attempt to tempt Jewish refugees borrows a page from Barker’s playbook. Its premise is that the Jew will sell his soul for money. Hence, the promise of a windfall can magically transform Sephardi hawks into Ashkenazi doves – that is if you at all buy into the blanket generalization of facile (and inherently offensive) stereotypes. Finally, a historical footnote. Barker in time rescinded his boycott orders but was nevertheless removed from his post after less than a year. On his very last day in office, February 13, 1947 – 67 years and one day ago – he found it essential to confirm the death penalty on three Jewish underground fighters: Yehiel Dresner, Eliezer Kashani and Mordechai Elkachi. A brilliant article that exposes not only Kerry , the present leadership and the left wing Jewish fifth columnists within much of the American political structure, but also connects and highlights the parallel philosophies of Britain, the rest of the E.U. and much of the world at large. His British counterpart Hague, is I believe no better than Kerry and should be viewed in the same light. On a slight tangent, a question that arises from this laser like article, is the arguable naivety of the many liberal Jews (left or right wing) in positions of power and influence in the USA, Europe and Israel, who disassociate themselves with their own people and their struggle to survive. These fanatical “anti zealots” only make the jobs and agendas of our enemies all the more easy to accomplish, and do much harm and complicate our status and ease of survival. Furthermore, this group with their flawed (or vain / delusional) mindsets seem utterly incapable of seeing or sensing the contempt and lack of respect with which they must surely be privately held by gentiles and others in power. They seem to have learned nothing from the lessons of history and human psychology. Let us nor forget sight of the fact that in recent times those same specimen types, were among the first to be carted off for extermination, and no doubt, ridiculed and laughed at as the doors closed behind them; their achievements and contributions for naught in the final analysis. I wonder (and I have a sneaking suspicion) whether they have any knowledge or understanding and true grasp of our history, and the lessons that cry out from the past. Perhaps in their ignorance (or unwillingness to learn) they prefer disassociation as an alternative to being part of a unique and enviable race that is perceived with contempt and despised at large. Their desire to distance themselves and show that they are integrated into secular society is a short term expediency which may well come back to bite them. In truth in fact they should not be distancing themselves from being members of our ancient and proud nation – that has given so much to the world over the eons of time. 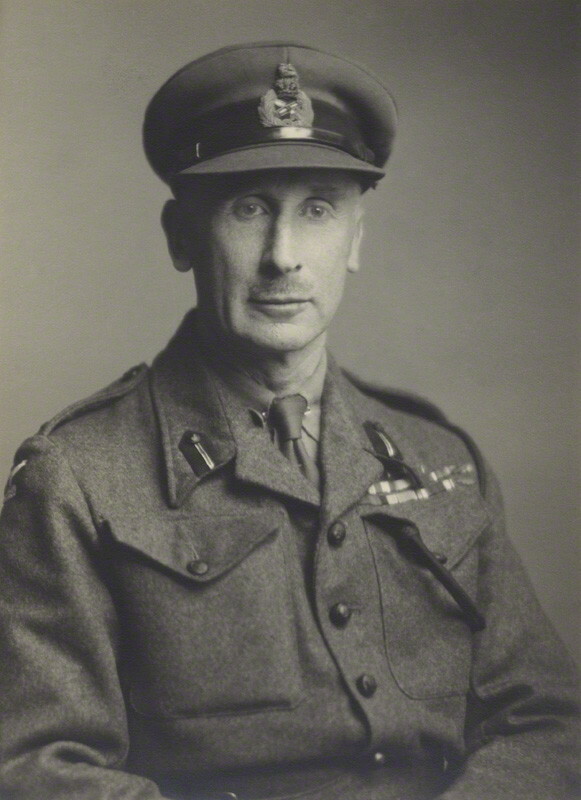 It is always valuable to remind people about General Evelyn Hugh Barker, GOC (General Officer Commanding) of British forces in Palestine (Eretz Yisrael). Perhaps Prime Minister Begin said it best when push came to shove. A fact that is well worth remembering. In his famous words spoken way back in 1981, Begin also referred to the infamous British General Evelyn Hugh Barker. Interestingly, so much of what Begin said at the time has ironic implications and relevance for how the present Administration in Washington believes it can treat and preach to the State of Israel. The US was wrong then and it is equally wrong now. Statement by Prime Minister Begin on U.S. Measures Against Israel, 20 December 1981. He also hinted of anti-Semitic overtones in some of the punitive measures taken by the United States. “Three times during the past six months, the U.S. Government has “punished” Israel. The main problem is not in Obama, Kerry and EU, but in the lazy, shallow and incapable Jewish leadership. They are lazy to defend, but rather agree to divide, the land of their fathers, they are shallow to hope that this will succeed, they are again dangerously lazy accepting the Arab fictitious narrative of Palestinians persecuted by Jews, and they are incapable of articulating the fact that the whole Arab-Israeli problem was created not by the Jews returning to their ancestral land, but by the Arab brutality in attacking Jews, – the good defeating the evil by virtue of the Jewish valour and sacrifice! If you dig deep enough, I wouldn’t be surprised if you found that the recent declaration that Sephardic Jews will be allowed to get Spanish citizenship also has Americans pulling the strings in the background. Get as many opponents of Kerry’s plan out of the picture. Makes you wonder just how serious these talks are. Readers may remember that persons who distributed these tracks, sometimes from contraptions that would disperse the leaflets over the gable of some roof to the streets below, were not trying to be entertaining. They were using extreme caution to evade the search and cordon policy that sent forth British troops to root them out for summary execution. I have seen you in the street, and felt like having a talk with you. I wondered whether you realised why you had been sent here. When soldiers are sent overseas, they naturally presume that it is to fight an enemy. It has occurred to me that someone may have tried to tell you that I am your enemy. You must not believe it. every country under the sun. Our worst and most recent sufferings were undergone in Nazi occupied Europe. Just stop and think for a moment. Six millions of my people have been murdered, burnt, gassed and subjected to the most frightful and protracted tortures till they died, – – old and young, women and children. Helpless babes were mercilessly seized and beaten against walls or pavements until their skulls were smashed. No doubt you have heard something of this; you may even on your way here have seen with your own eyes the evidence of Nazi brutality. The survivors of Nazi savagery have no other hope in life but to join us here. It is for them that we have been rebuilding our homeland. Their eyes are turned to us, and our arms are stretched out to them. Will you come between us? All through these years we placed our faith in Britain and in the promises of its statesmen. We have worked and striven we have turned all our energies towards creating here a national home for our people. Many, like myself, enlisted in the forces and fought in the same cause as yourself. And now your Government is barring the entrance to their rightful home before the remnants of our people in Europe who have no other place to lay their heads. The White Paper means the death sentence for our survivors in Europe. The White Paper transforms the promised “Jewish National Home” into a new Ghetto – a minority dependent on the charity of an Arab majority. This was certainly never the intention of your great statesmen when they declared that the Jews should return to Palestine as of right and not by sufferance! We are not your enemies. We are only stretching forth our hand to give refuge to the starving survivors of our people, whatever the White Paper may say. And when we stretch forth our hand, you may receive the order to hack it off. Are you really going to hack off that hand stretched forth in succour? Thank you for sharing that very precious document with the world. What a stroke of good fortune that your late Father saw fit to preserve that unique letter for posterity. I hope you will be sure to share a copy with Yad Vashem and similar institutions around the world. It tells a great deal of important information about so many things in just one page. In a word- it is Priceless. It is I who should thank you Mr. Pakter, and shall do as you request, gratefull for your kind words that honour the memory and legacy of my Father for his humble contribution. I saw a report in Debkafile that stated Mr. Netanyahu has (in principle) accepted Kerry’s framework peace agreement….if there’s any truth at all in it, I regretfully suggest we’re really in some really deep sh*t…. Whatever his accomplishments and experience, Netanyahu is no Begin when it comes to defending Israeli rights and interests or its sovereign freedom of action. It’s always (echoing Peres) “We want peace. Let me prove it to you.” Reportedly, when the IDF moved to construct a training facility in the “no mans land” next to Mount Scopus, threats and warnings came from the US and EU, including a threat to cancel some joint training exercises if the plan went through. Rather than call out the US for this threat, Netanyahu simply shelved the plan. Nothing has changed. Though kerry and his boss may not say it they feel the same. Obama’s remark to SharkCozy was not about Netanyahu, it was about Jews in general. Nothing changes. Obama’s remarks to Sarkozy about Netanyahu had more to do with unspoken words about Jews in general. Dear Sarah, you threw a spotlight on the cheap and disgusting mindset of Mr. Kerry ! His dirty trick once worked with the native American Indians, but he will fail now. Kerry’s boss is Obama, don’t misplace the focus. I saw Kerry and his miserable wife in action during their horrible campaign in 2004, ambitious shallow and phony, Obama’s mule. especially as the numbers on both sides are about the same, is to call it “even”. The Jewish refugees probably lost more, but so be it. The same goes for settling the territorial issue: swap territories. But such a reasonable approach is pie in the sky. to have it all, Judenfrei, “from the river to the sea”. historical context, on an existential conflict. He simply ignores the “Final Solution” the Arabs wish to impose on the situation. Whatever subtext you see in Kerry suggestion, I think it is a very good thing that the plight of the Arab Jews around the time Israel was established get aired and acknowledged. Many people even in Israel, certainly elsewhere are not aware that a comparable number of Jews from Arab countries became refugees at about the same time that many Palestinian Arabs became refugees. This is important as it shows both sides suffered comparably so there is no reason to ask Israel to compensate the Palestinians. Israel got its share of support over the years, mainly from the US and Germany and the Palestinians got (and are still getting) huge sums of money via UNRWA, the Arab states and other entities (sums that are several times larger than the cost of the Marshal plan after WWII). Talking about money now is pointless. Thanks Sarah, very interesting history, and connecting that history to the present situation. I saw similar examples of that abusive mentality during my early life, although I didn’t understand it intellectually, it bothered me and I instinctively felt it was wrong, and it influenced the course of my life. This article also missed British governmental ability to play the grasping Scrooge whenever possible with its own inclusive current sparring over how much national debt a newly independent (if?) Scotland is to take upon itself: in the early 1920’s as part of tidying the loose ends of the 14 – 18 war HMG in London charged the Palestine Government a million for the railways – to buy out the previous shareholders and the War Office construction of the Kantara – Lod railway and amendments to standard guage further North. This was raised by a loan in London that the WZO had a part in organising the subscription. The attempt to charge the new government of Iraq for their war built military railways ran into defeat because the Iraqi government because of the Kurdish rebellion in 1920 and the costs of suppressing it was skint. Similarly with the 1936 -38 Arab rebellion, suppression ie costs of troops moved in from elsewhere, was paid for out of the Palestine treasury which in 1936 had accumulated nearly a year’s revenue in reserve for major works – as the Haifa harbour completed in 1933. Eventually with all the reserves spent, the 56 Teggart Forts were built with a specific grant-in-aid from London as part of the imperial defence ie World War II, budget. As part of releasing Palestine accounts and reserves in London when Israel became independent there was a dispute about the Safarafand Camp(s) for which Israel eventually paid £600k about $36 million current (2014) money. This brings us back to General Barker for whose portrait PR photo much thanks because – remembering British officers buy their uniforms; that generals are not paid breadline; and usually have a “service dress” tunic neat outfit for office, town and PR photos even if they have ranker type clothing for battlefield scruff wear; General Barker has not been slow in being tight-fisted in this photo. He is wearing the appropriate SD hat and red collar tabs, but his tunic is a late war style of battledress [serge] with the exposed buttons, yet he has replaced the plastic buttons with the leather sort for an officer’s British warm greatcoat to add a bit of personal and rank but still a lot cheaper than a service dress tunic in barathea.